We told you a while back that we would have myTouch 3G Slide for sale soon, and we now have the best deal on T-Mobile myTouch 3G Slide in all 3 colors – Red, Black, and White for only $99.99. The myTouch Slide 3G by HTC is one of the best Android phones for TMobile today. What makes this phone better than the previous generation? The touchscreen size is now larger and includes a slide-out full QWERTY keyboard for those who prefer typing on a physical keyboard. Of course for those who would like to continue to use the on-screen keyboard, it’s still available. If you are looking for the the latest version of Android, look no further, this T-Mobile myTouch Slide 3G is running Android 2.1 right out of box. 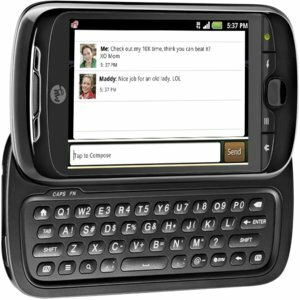 Hurry and get the best deal on TMobile myTouch 3G Slide now online and have it delivered to your doorstep in just 2 days.